Thurston County is in western Washington state and covers the southern Puget Sound area. It has a population of about 252,250 residents; its county seat is Olympia, the state capital. Other towns within Thurston County include Lacey, Tumwater, Yelm, and Rainier, which are mostly suburban and rural communities. The county is located between the major cities of Seattle, Washington, and Portland, Oregon. Most homes in Thurston County are detached, single-family units with an average of three bedrooms. Homes here are newer, in general, than in the rest of Washington. Many residents may live near the Puget Sound or one of the dozens lakes and ponds in the area; Thurston County is known for salmon fishing in the Nisqually River and also for the Nisqually National Wildlife Refuge. 3 Beds | 1 Baths | 1567 sq. Ft.
3 Beds | 1 Baths | 1670 sq. Ft.
3 Beds | 2.5 Baths | 2025 sq. Ft.
4 Beds | 3 Baths | 3034 sq. Ft.
4 Beds | 2.75 Baths | 2282 sq. Ft.
3 Beds | 1.75 Baths | 1040 sq. Ft.
4 Beds | 1.5 Baths | 1636 sq. Ft.
3 Beds | 2.5 Baths | 1852 sq. Ft.
3 Beds | 1 Baths | 1147 sq. Ft.
4 Beds | 2.5 Baths | 2570 sq. Ft.
3 Beds | 2 Baths | 1113 sq. Ft.
3 Beds | 2.5 Baths | 2379 sq. Ft.
4 Beds | 5 Baths | 10547 sq. Ft.
Blue Summit Realty has the most accurate and up to date Thurston County real estate listings on the web. Currently there are 462 homes for sale, 39 condos for sale, 9 rental properties, and 257 vacant land properties in Thurston County. Of the 779 total Thurston County residential listings for sale 5 are bank owned, 0 are short sales and 139 are new construction and 0 are townhomes. The price ranges from $42,000 to $11,000,000 with a median list price of $439,660 and median sold price of $328,275. 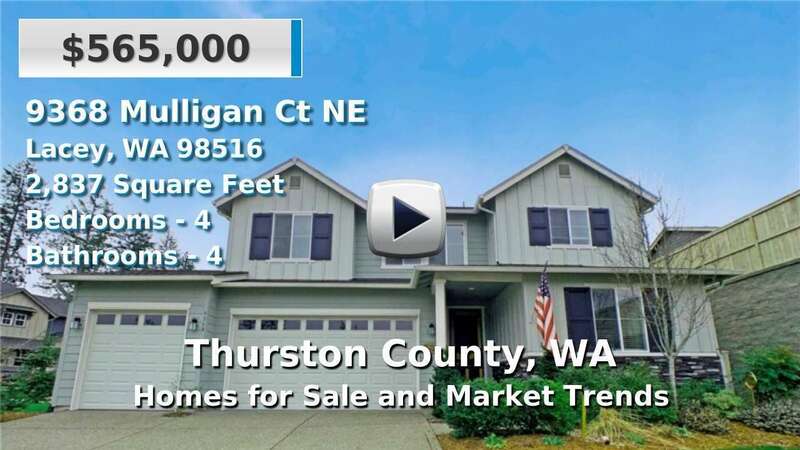 Make sure to refine your Thurston County real estate search by property type, price, square footage, bedrooms, bathrooms and more with the search tool above or view the Thurston County listings on our interactive map. Our Thurston County real estate listings were updated 25 minutes ago.